Arts education can contribute to both the appreciation of cultural diversity and the affirmation of a national identity. However, in some European countries, promoting national awareness is seen as an antidote to increasing cultural diversity, and vice versa. Are these values conflicting or two sides of the same coin? This article addresses this issue from the perspective of arts education experts in several European countries who participated in a digital survey. What do they think about cultural diversity and national awareness, and how do they assess the state of affairs in arts education practice, policy and research with regard to these issues? Experts across Europe acknowledge that arts education can and should contribute to the appreciation of cultural diversity and intercultural dialogue. The issue seems to be most urgent in Western and Northern European countries, where the space for cultural diversity has decreased due to the rise of nationalist and populist movements that have incorporated and ‘occupied’ the concept of national awareness. At the same time, it is not hard to see that Eastern European countries also struggle with the distinction between national cultural awareness and political nationalism. 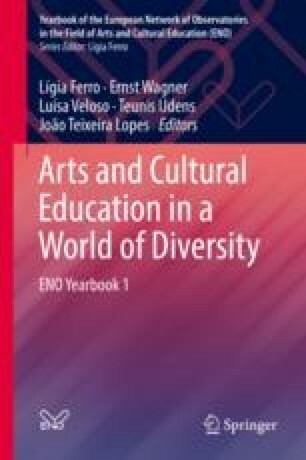 Rethinking the concepts of ‘cultural diversity’ and ‘national awareness’, we could conclude that the field of arts education might benefit from the use of terms that unite and depolarize both goals. ‘Dialogue among cultures’ and ‘intercultural learning’, for example, imply and affirm the existence of an experienced ‘cultural identity’ and imply that ethnocultural differences are a potential for cultural learning. Arts education professionals in schools and cultural institutions will have to resist the encroachment of antagonistic identity politics on their practical work in a creative way, in order to develop innovative, transformative and effective strategies to realize this potential. UNESCO. 2010 Seoul Agenda: Goals for the Development of Arts Education. Available online: http://www.unesco.org/fileadmin/multimedia/HQ/CLT/CLT/pdf/Seoul_Agenda_EN.pdf. VVD, CDA, D66 & ChristenUnie. 2017. Vertrouwen in de toekomst. Available online: https://www.kabinetsformatie2017.nl/documenten/publicaties/2017/10/10/regeerakkoord-vertrouwen-in-de-toekomst.